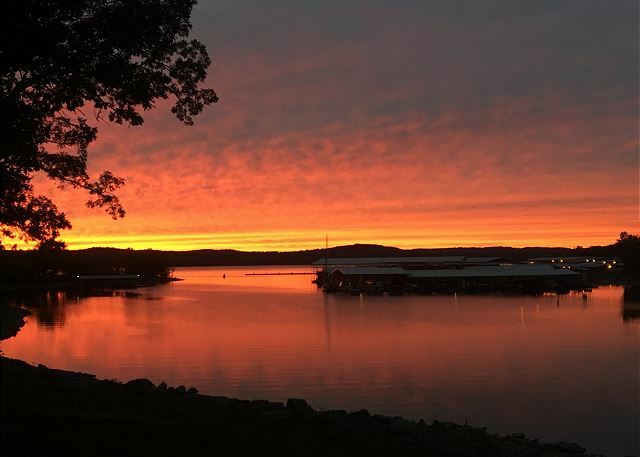 Enjoy watching the sunset or the moonshine on Table Rock Lake from your large private balcony. Among the other amenities, this walk-out to the lake, 1400 sq. ft. condo offers you a clean, comfortable stay. While here enjoy the fully furnished kitchen with beautiful granite counter tops and much more. For extra sleeping area there is an air bed or it can adjoin to A-2 or a 6 BR, 4 Bath Condo. Go fishing, bring your own boat or rent a boat, enjoy the pool, horseshoe pit, playground and more. The guests of this 3 BR, 2 Bath condo located at Vickery Resort enjoy 1400 sq. ft. of living space, granite counters, washer, dryer, a full kitchen stocked with all the appliances and utensils needed to prepare a gourmet meal, large bedrooms, a master bedroom that looks out onto Table Rock Lake, Jacuzzi tub and a walk-in shower in the master bath. This lakefront vacation condo boasts a large private deck overlooking a secluded cove on Table Rock Lake. Also provided with this condo is full dock privileges. 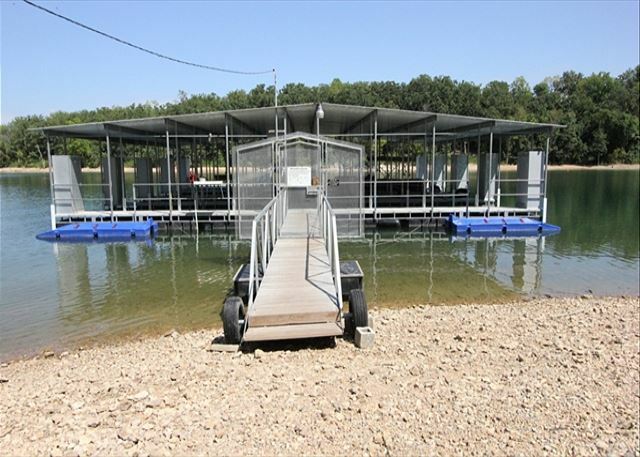 Rent a 11 x 30' slip for your boat and enjoy the lake with the convenience of the State Park Marina minutes from the dock, relax on the swim deck or enjoy a dip in the outside pool. Also enjoy the resort's Aqua Lilly Pad at the lake for all to enjoy! Very nice and clean. Staff was very helpful.Only issue we had was construction was going on our outside deck the days we were there. Boat dock was very nice. Over all except for construction it was great. I highly recommend it. At home, comfort, convenience and enjoyed every aspect and every minute. High quality furninshings, excellent location, great management. 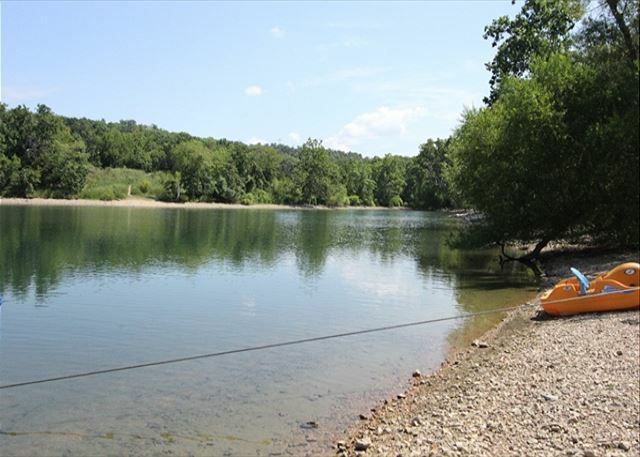 Great location close to Branson (8 minutes), but out in a quiet lakeside location. This is my choice of places to stay while in Branson! Condo had all the amenities needed for a pleasant week stay. Many fun activities within a short distance. Enjoyed visits to Top of the Rock, Dogwood Canyon, restaurants at College of the Ozarks and Big Cedar Resort, and hiking at a state park. Branson area shows near-by. My Family had a great time at Vickery Resort! We loved the addition of the lily pad! Everyone love it from the youngest to the oldest. Perfect for our family. We enjoyed being right on the water and this condo is on the end so easy in and out. The beach is rocky, so bring water shoes. The water is clear for swimming and the dock is steps away. The kids caught fish right off the bank, and they enjoyed the playground. There is also a pool, which was a little cold for little ones. We cooked a lot and needed a few more pans, but overall the condo is very pretty, clean, and comfortable. We would come back! 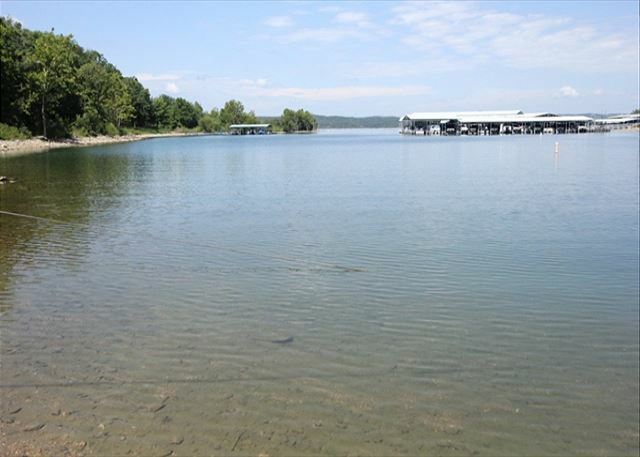 Clean, relaxing resort on Table Rock Lake! Colleen was very pleasant to book with and made sure we had everything needed for our stay. The 3 bedroom condo was clean, spacious, and stocked with all the amenities of "home". The pool was clean and relaxing, everything was kept up well around the property. Direct access to the Lake as well. Would recommend this property to anyone looking for a peaceful relaxing getaway! This is a great place and location ,close for trout fishing below the dam and bass on the lake. Another wonderful experience at Vickery Resort! We've stayed at Vickery Resort before, and each time the unit has been extremely clean, and provided a great and comfortable experience. It is also nice being just steps from the lake. We will definitely be back again soon! Very clean and up to date. We will definitely be back. We loved our stay at Vickery Resort. My husband and I came for a weekend in February for a small getaway before our crazy soccer season starts with our 3 kids. It was super easy to check in and check out. The condo was very clean and inviting. It was a very relaxing stay and plan on returning with our children in the future. As usual our stay at Vickery Resort was a nice and pleasant one. We have stayed here many times in the past (even before the condos were built) and always found our experience to be a pleasant one. Colleen is a great manager and very helpful. Sonny(Leroy), Barb Phillips and family. This is a place that is even better than the pictures you see on line. The condo and dock were clean and very nice. 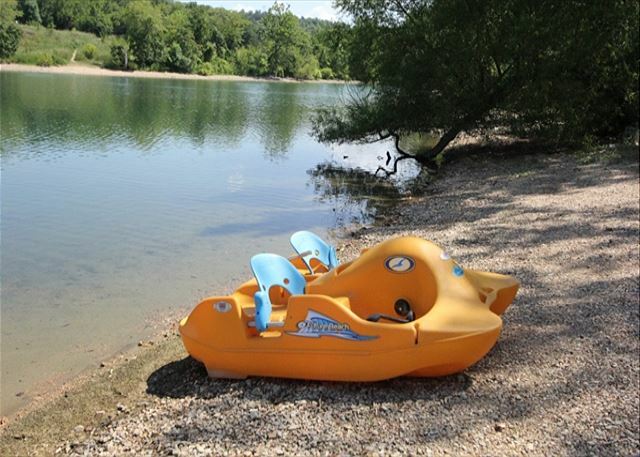 The location on the lake is perfect for family fun. We plan to stay there again next year. Our "Home away from home" never disappoints us, other than it is time to go home too soon. We had a great time and loves this place. We've been staying at Vickery Resort for close to 15 years and love it! Colleen and Terry take excellent care of the property. The condos are well-kept and the new dock is wonderful! I highly recommend Vickery Resort as the best place to stay on Table Rock Lake! The property was clean and well equipped, the manager was superb, the dock facility was excellent, the huge private deck,grill and view was wonderful, and the close proximity to everything in Branson was just great. We had a good stay! Thanks for staying with us. Glad you all enjoyed yourselves. Come back and see us next year. GREAT!!!!! I can't wait to go back. Grandkids really enjoyed playground and the lake is beautiful. Thank you!